PACKAGE THIS TITLE WITH OUR 2016 MLA SUPPLEMENT, Documenting Sources in MLA Style (package ISBN-13: 9781319086251). Get the most recent updates on MLA citation in a convenient, 40-page resource based on The MLA Handbook, 8th Edition, with plenty of models. Browse our catalog or contact your representative for a full listing of updated titles and packages, or to request a custom ISBN. 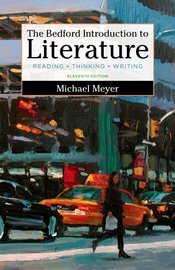 "I think it is the best introduction to literature book out there. It gets to the heart of literary emotion and process."